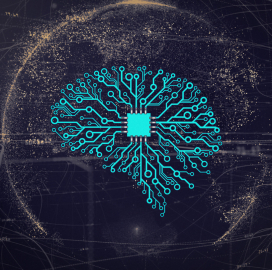 A Deloitte article says government agencies seeking to generate insights from unstructured data to facilitate the decision-making process and policy analysis could use artificial intelligence in the form of natural language processing. NLP has seven technical capabilities that could help agencies identify patterns, analyze public opinion and categorize topics, according to the article published Wednesday. Those capabilities are topic modeling; text categorization; text clustering; information extraction; named entity resolution; relationship extraction; and sentiment analysis. NLP could help address several issues across defense and national security, health care, energy and financial services domains and those issues include analyzing public feedback and improving regulatory compliance and predictions. The article cited how the Defense Advanced Research Projects Agency uses NLP in the Deep Exploration and Filtering of Text program to glean insights from data. According to the report, the Pentagon invested about $83M in NLP projects in 2017, reflecting a 17 percent increase from the department’s 2012 spending. William Eggers, executive director of Deloitte’s Center for Government Insights, co-wrote the article with Matt Gracie, a managing director at Deloitte’s strategy and analytics team, and Neha Malik, assistant manager with the Center for Government Insights.